For an exceptional spray environment, Global Finishing Solutions® (GFS) has a full line of light fixtures — LED, fluorescent, incandescent and explosion-proof. 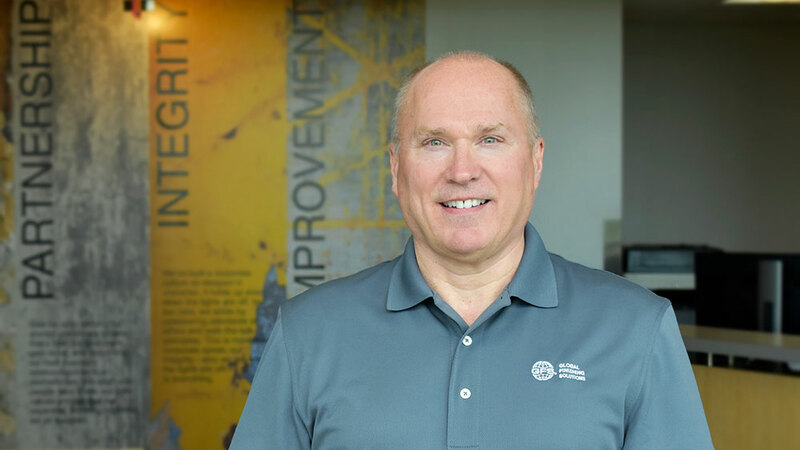 GFS also offers a full line of replacement light fixtures, bulbs and parts for all makes and models of finishing equipment, including paint booths, dust collection booths and blast booths. 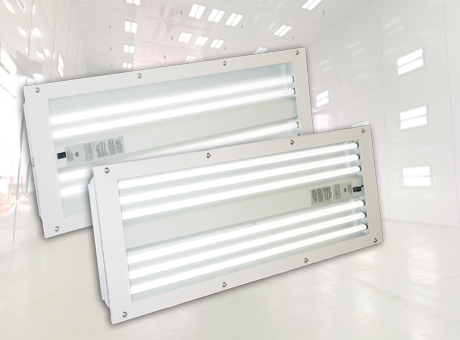 LED T8 lamps are an ideal energy-saving choice for existing linear fluorescent light fixtures. Upgrade to LED easily without having to change the fixture. LED lamps are compatible with Global Finishing Solutions’ linear light fixtures, including inside access and corner paint booth light fixtures, and general purpose light fixtures. LED T8 Lamps can be easily integrated into any existing Global Finishing Solutions linear fluorescent paint booth or high bay light fixtures. It’s as simple as changing out the tubes. No rewiring is required because the LED lamps use the existing electronics. LED T8 Lamps emit virtually no UV or IR light, and contain no mercury, allowing for non-hazardous waste disposal. Waste is minimized when switching to LED since the lamps can be installed in existing light fixtures. 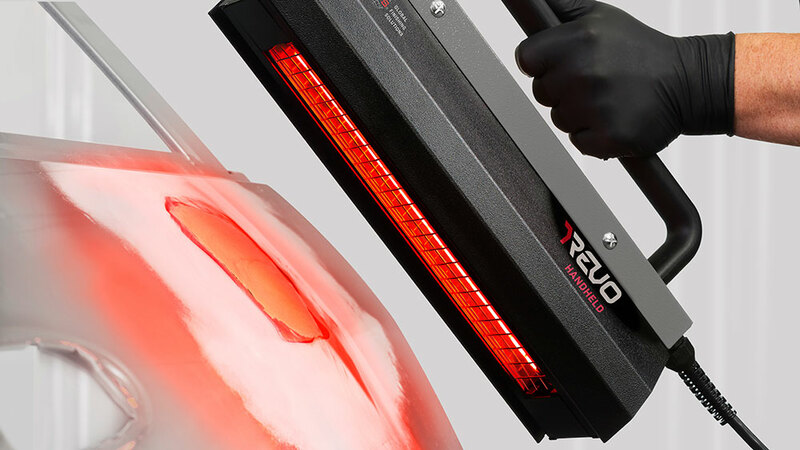 You no longer have to worry about dropping and shattering your lamps. InstantFit LED lamps are glass-free, allowing for safe working conditions. No need to wait for light fixtures to turn on. LED Lamps turn on instantly at full luminosity, with no flicker or buzz. Your existing Global Finishing Solutions linear light fixtures maintain their original ETL listing when switching over to LED since LED Lamps use the existing electrical wiring. There may be tax credits or rebates available in your area for switching to energy-efficient LED lamps. 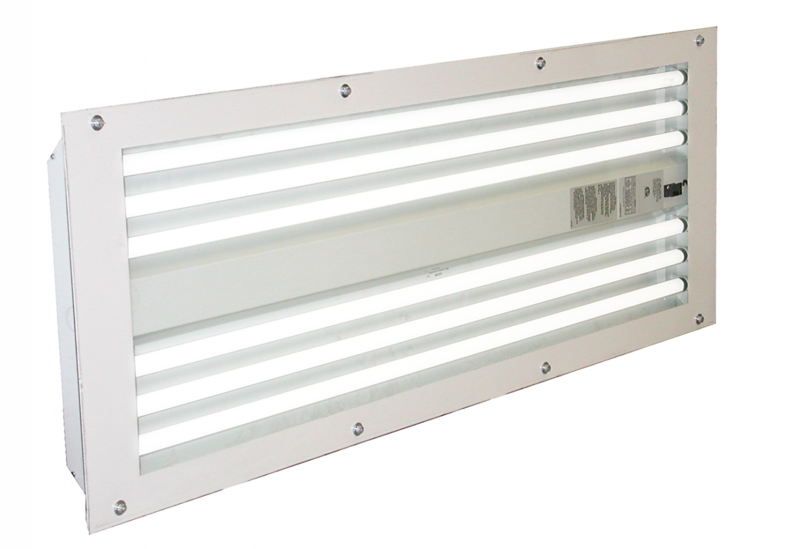 GFS offers four- or six-tube T8 light fixtures that work interchangeably with high-output fluorescent or LED lamps. T5 fluorescent light fixtures and lamps from GFS feature excellent performance and efficiency. 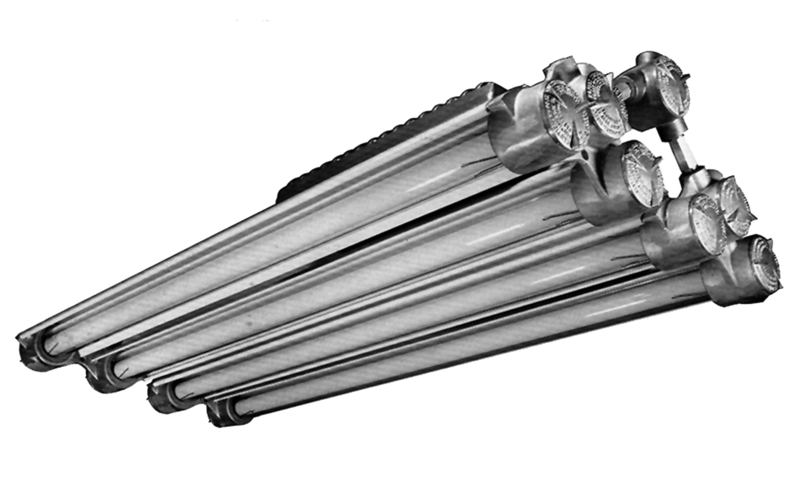 GFS offers four- or six-tube inside-access T5 fixtures, designed to fit the smaller diameter of T5 lamps. T5 fixtures and lamps are recommended for enclosures with high ceilings and booths located in areas that reach high temperatures. Incandescent fixtures are recommended for use in mix rooms and hazardous materials storage rooms. Angle fixtures can be supported for mounting at the face of a paint booth with a fixture bracket. Incandescent fixtures are Class I, Division 1 listed. Explosion-proof lighting is recommended for hazardous locations, such as paint booths, shipyards, chemical manufacturers, oil drilling rigs and gas processing plants. Made with factory sealed, cased aluminum, and a white finish reflector. High bay fluorescent lights are specifically designed for general purpose applications and meant to replace metal-halide lighting and T-12 light fixtures to improve energy efficiency. 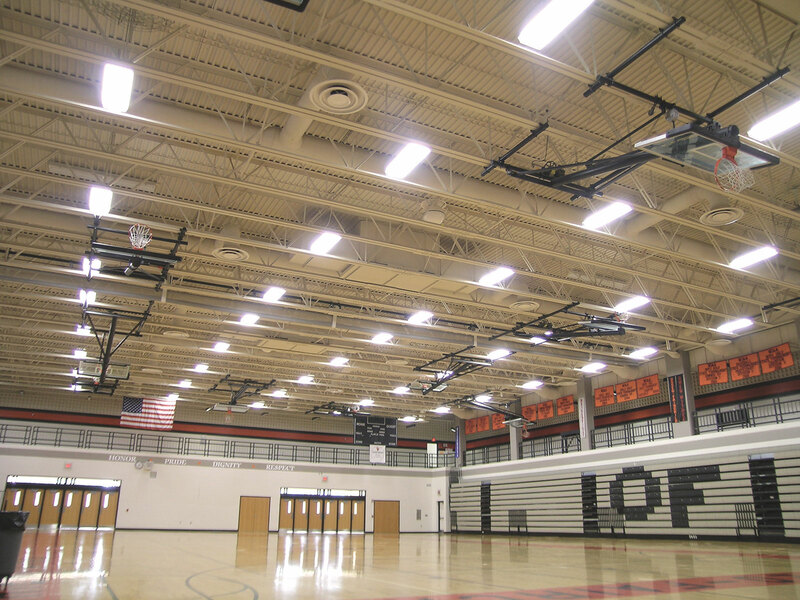 GFS high bay lights are ideal for structures such as warehouses, commercial buildings and gymnasiums. Increase the luminosity of your paint booth with this simple upgrade, available for GFS four- or six-tube light fixtures. GFS’ unique reflector shape and material focuses more light where you need it, more efficiently directing light toward the working area of your paint booth. Light reflectors can easily be installed behind fluorescent light tubes, boosting the luminosity of fixtures by 20 percent. You can achieve the same level of luminosity with fewer bulbs than our competitors, saving energy and maintenance costs. 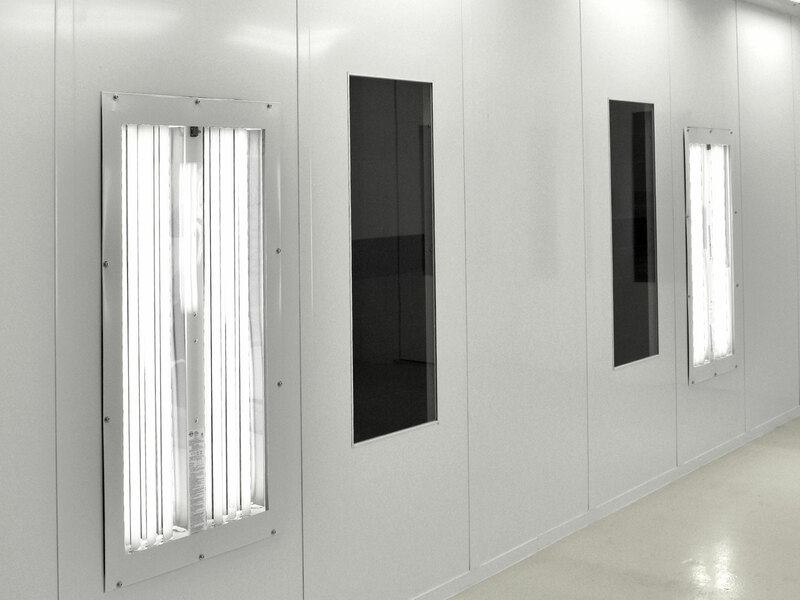 Want to learn more about paint booth lighting?